Ran to the roof this evening when I saw this out the window. 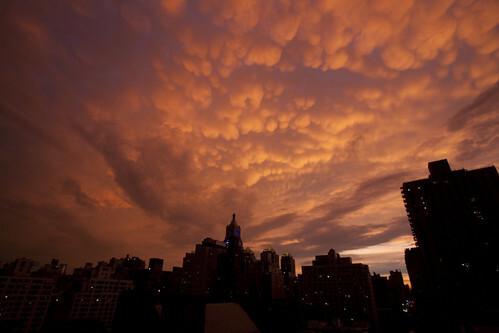 A quick moving thunder storm swept through the region and left this spell binding orange sky in its wake. This past weekend I took my mother to see the butterflies at the AMNH. This young boy couldn’t get rid of this little orange butterfly. It stayed on his shoulder as he and his father tried to get more to land on them. What a magical place. 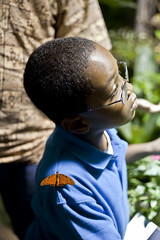 The Butterfly Conservtory is only open through May 25th! 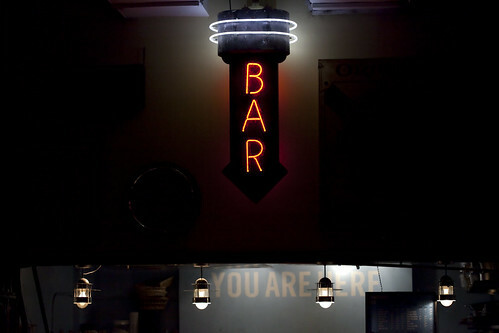 Get there while you can. I took my wife to a Yankee game for their inaugural season in the new stadium. It is the first week of games in the newly built house that Ruth didn’t build. I was impressed with the way the stadium is laid out, I’d better be for all the money they spent on it. We both enjoyed the game and the Yankees won! Since we are both rather big baseball fans we hope to see many more games this year. 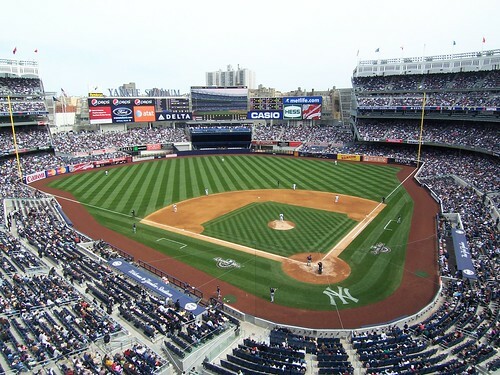 For those of you wondering how much it will cost you to see the Bronx Bombers play in the new joint, you can get bleacher seats for $12 a game. When was the last time you went to a baseball game? I have a slight obsession with water towers and being able to hang out in open spaces at heights. Whenever I see people chilling on rooftops across the office building, I just find it to be cool. Look at these guys taking in the sun on 34th and Park today. It’s getting nicer out. 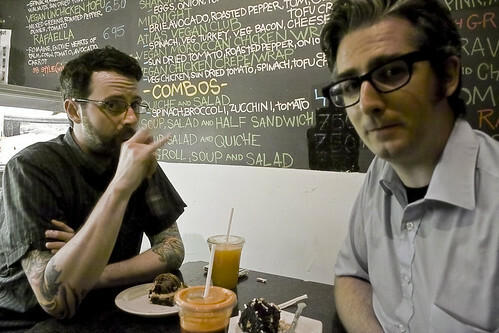 Shot this portrait of a friend of mine visiting from New England at Coffee shop.